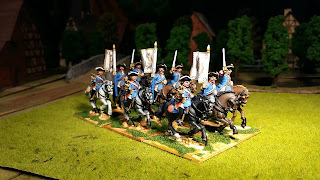 Here are two more Russian Dragoon Regiments - Tobolski at the front and Archangelgordski at the back. The bottom picture shows the three command bases for the 'faux' dragoons - Regiments Kazanski, Kievski and Novotroitsky. 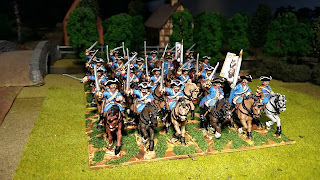 With a total of 16 squadrons one will be able to field any number of regiments up to seven in varying numbers of squadrons. 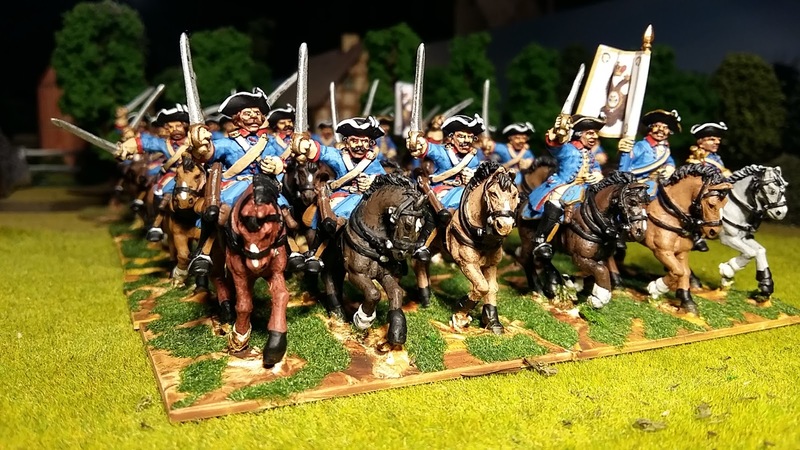 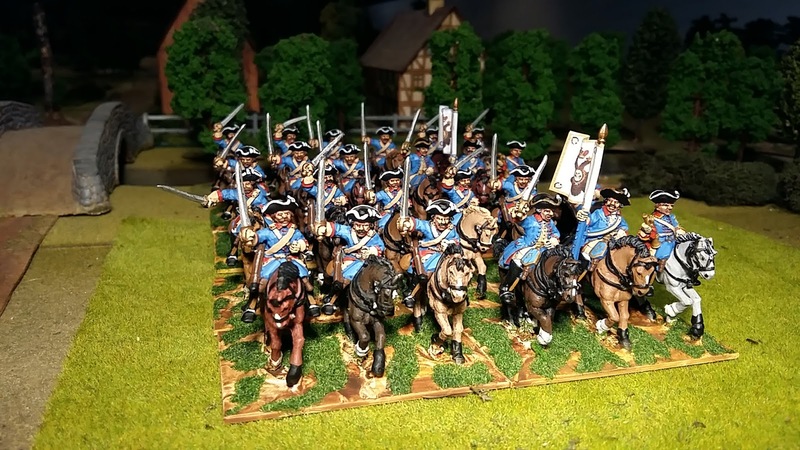 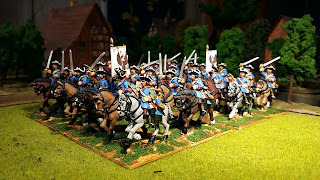 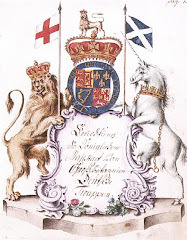 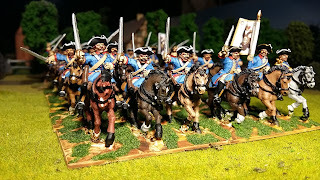 Next week - dragoons on foot and following soon Horse Grenadiers. 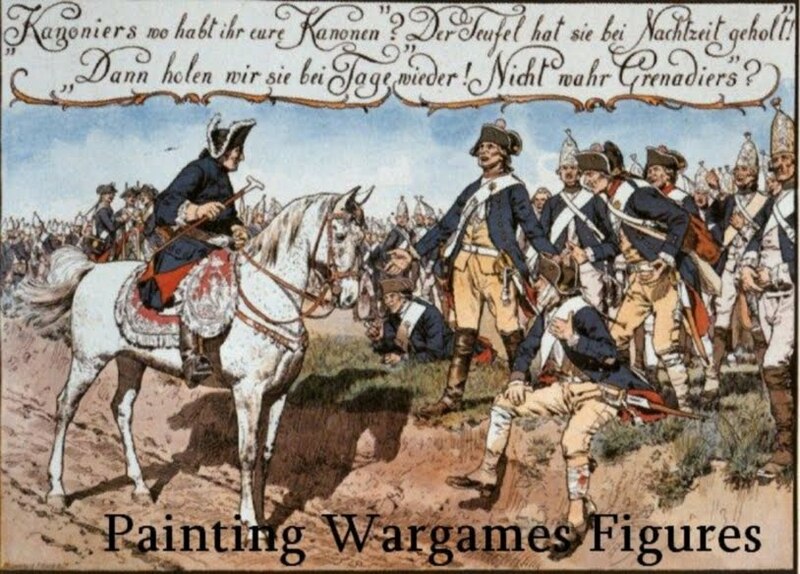 A great paint job for a great uniform!